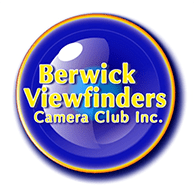 Berwick Viewfinders Camera Club Inc. Club By-Laws - Berwick Viewfinders Camera Club Inc. This is an important document. It contains much information. Look at its contents. It is so important that you should consider having it as a full-time reference by downloading it and printing it. • What terms like Creative/Experimental and EDPi mean. • The size of small and large prints for competitions. • The number of entries for competitions. • The size of EDPI’s for competitions. 6/11/2016 – September 2016 revision uploaded to the web site. 1/3/2017 – Incorporate changes to AGG competitions as agreed at the 1st committee meeting of 2017. The ‘Creative/Experimental’ category has been removed from the AGG competitions and the Print & Slide competition. A ‘Novice – EDPI’ category has been added. The number of images, per AGG, per member, has been reduced from 8 to 6. The rules for the End of Year award calculations have been adjusted to reflect the reduction in the number of AGG entries per member.